Transparent and rapid response times: One of the most important attributes of good customer service is a fast and accurate response time. You should be concerned with how quickly a vendor will respond to queries and resolve issues that you may have without compromising the quality of work. Quick response time sends a message of respect, urgency, and responsiveness, and also shows a company’s concern for their customers and their experience with their product or service. Open and direct communication: Another important aspect of outstanding customer support is communication. The best vendors or suppliers are open and direct. If there’s a change to the status quo or the service provided is not delivered as anticipated, they tell you upfront, communicating quickly, politely, and accurately to remedy the issue. Similarly, if they need clarification about requirements, they ask for it. Provide multiple points of contact: All good customer support should provide a frictionless process for getting in touch. Offering multiple channels and points of contact to connect with the customer provides convince and choice, and gives you, the customer options to choose from based on your preferred channel or issue at hand. Take Responsibility: As the saying goes, honesty is the best policy. Good customer services providers take responsibility for the customer’s care. They are honest, own up to mistakes and are willing to apologize and compensate for errors. Once the issue is resolved they should communicate what they plan to do to change or prevent the same mistake from happening again. 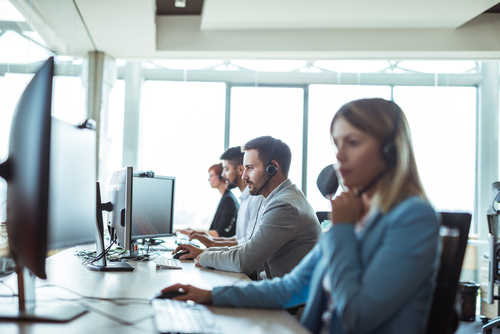 Creative and flexible: Another characteristic of strong customer support includes the ability to come up with workable solutions, regardless of the complexity of the problem or issue. Similarly, your vendor or supplier should not only be able to provide helpful recommendations that you can use to learn and grow but also… FUTURE. It’s important to choose vendors wisely, as they greatly contribute to your success. Providing exceptional customer support is both necessary and fundamental in today’s business landscape as it not only lets you run your business but enables you to grow your business.